The City of Carrollton is ranked No. 1 in economic development based on the dollar value of deals, said the Dallas Business Journal in its 2013 report, released in June. This could be good news for homebuyers thinking of relocating to this North Texas city and looking for homes for sale in Carrollton, TX. More economic development means more jobs and a better economy, which can lead to additional housing developments, including those with Carrollton luxury homes. Major projects such as CyrusOne’s corporate headquarters and Earl Owen’s headquarters and distribution center were among Carrollton’s 112 deals in 2013, which were valued at nearly $357 million. CyrusOne is a datacenter company; Earl Owen is an automotive accessory distributor. “This is a prime example of the ways in which we are working to diversify our tax base, bring in new sales tax and construction revenue, and leverage development opportunities. Carrollton’s excellent location, safety, and neighborhoods make it the best place for business in North Texas,” said Mayor Mathew Marchant. Businesses and neighborhoods featuring plenty of available Carrollton, Texas, real estate flourish throughout the city's 37 square miles, and the surrounding major highways, rail freight lines and Foreign Trade Zone designation ensure continued growth. According to Economic Development Director Brad Mink, Carrollton ranks in the top cities in the region in creating the highest number of new jobs, more good news for homebuyers looking for Carrollton houses for sale. Also of note to potential Carrolltonites: The city is home to 122,000 citizens, more than 5,000 businesses and a daytime workforce of more than 71,000. In 2008, Carrollton was ranked 15th by Money magazine as the nation's "Best Small Cities" to live in. In addition, Forbes Magazine recently ranked Carrollton No. 12 for "America's 25 Best Places to Move." Numerous assets such as highly ranked schools, expansive green spaces and convenient services are available to Carrollton’s many neighborhoods. 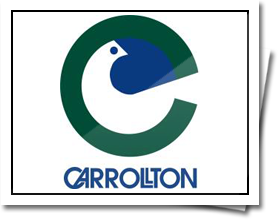 A variety of housing, community partnerships and civic opportunities enhance Carrollton's appeal, and residents can enjoy award-winning sports complexes, libraries, natural areas, golf courses, lifestyle amenities and community events. Search Homes for Sale in Carrollton Texas.